(Natural News) What exactly is so appealing about the idea of Oprah Winfrey for President? She’s extremely wealthy and her name appears quite often on television and in magazines; other than that, what qualifies her to be the next commander-in-chief and leader of the free world? Perhaps the liberals like her so much because, simply put, she’s “one of them.” Think about it – she despises people who consider themselves to be conservative or right-of-center, she believes that government is the solution to anything and everything, and beyond that, she tends to use feelings and emotion rather than facts and logic when delivering messages to the American people. 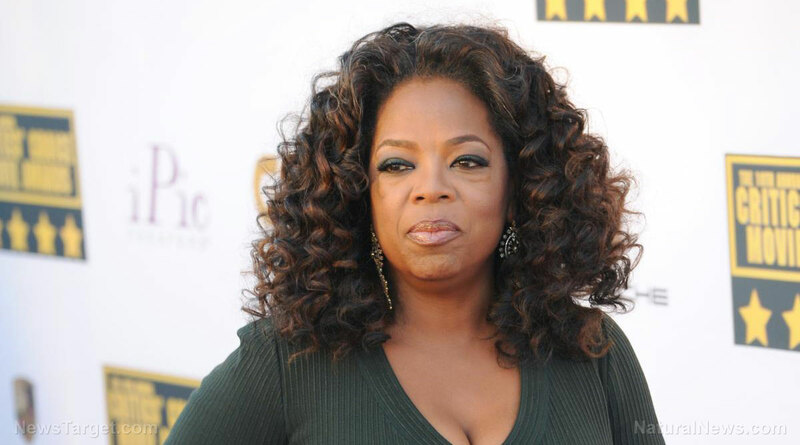 For example, during her speech on Sunday evening after receiving the Cecille B. DeMille Lifetime Achievement Award, Oprah seemed to imply, among other things, that not much has improved for black women living in the United States since the year 1964, which of course is a ridiculous and highly inaccurate statement. But then, Oprah attempted to connect the feelings she had as a little girl watching Sidney Poitier win the DeMille Award to the feelings that many young black girls will have towards her own victory in 2018, which is just plain silly. “In 1982, Sidney received the Cecil B. DeMille award right here at the Golden Globes and it is not lost on me that at this moment, there are some little girls watching as I become the first black woman to be given this same award,” Oprah said. Furthermore, we just got through with eight years of a president who brought up race and skin color every chance that he got – do we really want another leader that does the same thing? It doesn’t take a political expert to know that Barack Obama’s constant race-baiting and divisive rhetoric led to an enormous amount of tension and unrest in this country – how on earth is it a good idea to elect somebody else who will be just as racially divisive? Oprah may be a friendly woman outside of the realm of politics, but as far as running for president, she is simply not a good choice.